Welcome to our free Microsoft Server 2003 tutorial! 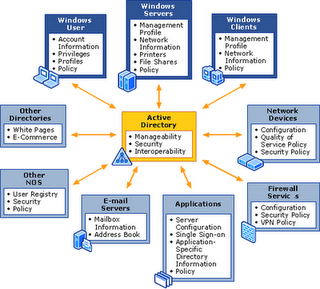 We have designed these tutorials to help you understand how to manage and maintain a Windows Server 2003 environment. These tutorials are designed to give you the fundamental knowledge you need to configure your environment and maintain it. The skills identified are based on the skills Microsoft requires you to know for MCSE exam 70-290: Managing and Maintaining a Windows Server 2003 Environment. We added a little explanation where we felt necessary and expanded the curriculum a little to help you with some of the more difficult concepts in Active Directory. You should find these tutorials a handy reference as you’re working – if you forget something, just refer back to these tutorials and you can see how to perform a task. This tutorial will teach you how to manage Group Policy and Security in Microsoft Windows Server 2003. Throughout the tutorial, you will see short animated examples. These are signified with a icon. Clicking these links will open a new window which will illustrate the concept by walking you through the steps required to complete that task.